Find out how to replace or add PDF files to your current flipbook without changing the URL. If you made a flipbook and already shared it with other people, you might find yourself in a situation where you want to add a second PDF or maybe you simply spotted a typo and wish to correct it by replacing the PDF. 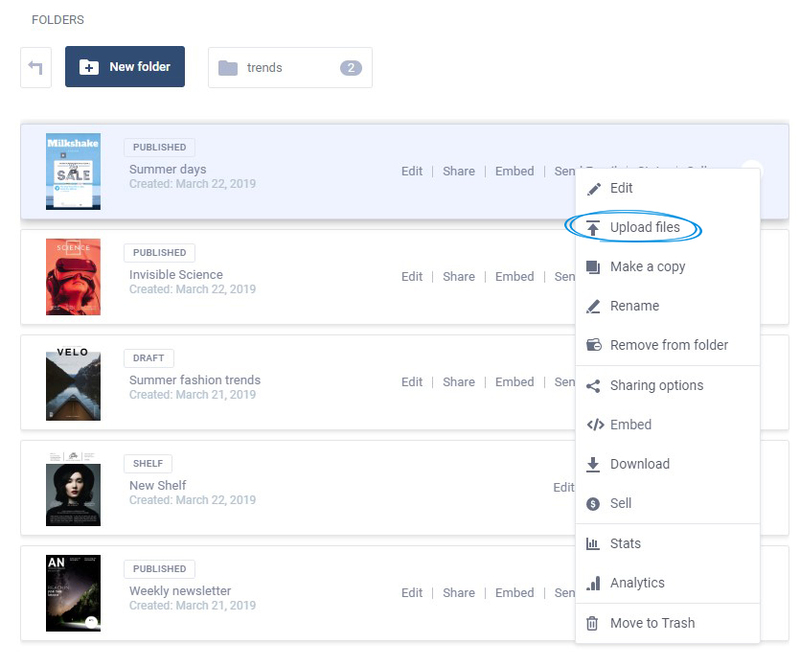 Don't worry, you can easily do that by going to My flipbooks, selecting your flipbook and clicking on the 3 dots on the right hand side, then clicking Upload files. That’s it, you can now preview and publish your edited flipbook while keeping the same link. Important: this option is available only for flipbooks created using PDF files, not for flipbooks created from scratch.